Android 9 Pie is here! Google has released the update for Pixel phones on August 6th, 2018, and the update will be coming to tens, if not hundreds, of phones in the future. 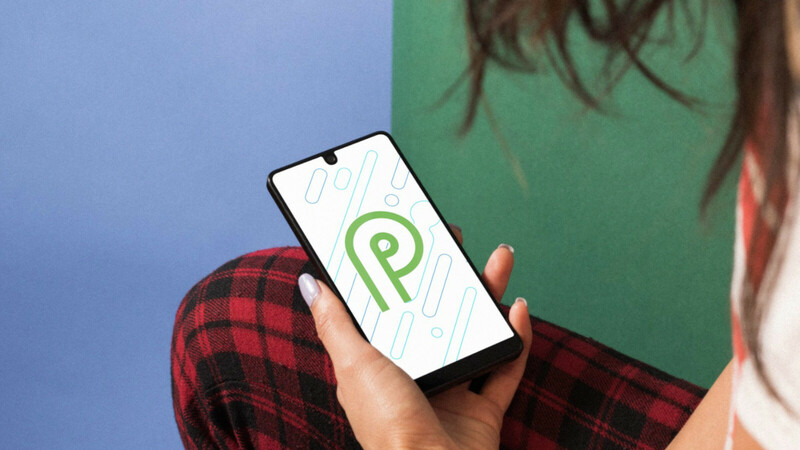 Back in March, Google released the first Android P developer preview and then in early May 2018, it followed up with the big Android P beta, a release that was definitely exciting. The final version that is now officially named Android 9 Pie includes many of the Android P enhancements that we saw in the beta Care to take a look? Then join us as we give you a full review of what the newest and most advanced version of Android brings to the table. Keep in mind, though, that some of the features like the Dashboard listed below have only been announced, but are not yet available on actual software. Google will release those individual feature in the coming months. And with that out of the way, let’s explore what Android 9 Pie has to offer. With all that heavy talk of AI that has been one of the leitmotifs of the industry for the past few years, it’s no wonder that Google is upgrading the “smarts” of Android. This time, however, the focus is on the “digital wellbeing” of Android users, and the intent is clear: Google wants you to distract yourself with your phone less and have it do a larger portion of the work on its own. The super-charging of the Google Assistant and the introduction of Google Duplex are merely two of the brightest stars in Google’s strive for a smarter, less overwhelming technology. One of the intriguing new features is Dashboard, a quality-of-life feature that aims to help you manage the time you spend on your device and improve your digital wellbeing, which can be severely overlooked these days. Thanks to Dashboard, Android P will be able to inform you how many times you have woken up your phone every day, how many notifications your have received, how much time you’ve spent in various apps and more useful insights to understand how you use your phone. This way, users will get some revealing information about their phone use that might open their eyes to see just how addicting that smartphone habit is. With Dashboard, you will be able to cut your excessive device usage and shift the focus towards actually important and productive uses of your gadget. In theory, at least – after all, Dashboard isn’t designed to be an overlord but merely a guide. Notifications, do not disturb me! Let’s be honest, notifications can often become super-pesky and demand your precious time, which is another big hit on your digital wellbeing. With Shush, a new feature coming in Android 9 Pie, you will be able to promptly put your phone in “do not disturb” mode when you flip it screen down. All sounds, vibrations, and lights will be disabled, but emergency calls from your favorite contacts will still get through. Coming soon near you is a feature that would be the digital equivalent of a nagging parent: your phone will enable the Night Light feature and gradually turn the display monochrome, reminding that it’s time to hit the hay and call it a day with your daily dose of smartphoning. Another super-promising feature of Android Pie is the new Adaptive Battery feature, which uses on-device machine learning to understand which apps you are likely to use in the next few hours and which apps you are not likely to use until later in the day or in the week. Using this information that remains completely private because it’s on-device machine learning, the Android system can adapt to your unique usage pattern and in practical tests at Google this resulted in a 30% reduction in CPU wake-ups, running more processes on the power efficient small CPU cores and overall big improvements in battery life. Another boon to Android’s usability is the all-new Auto Brightness feature, which will now remember your slight alterations to the brightness levels in certain lighting situations and use them in the future for a more coherent experience. This way, you would have to interact less with your device, and we all know that a second saved is a second won. On-device machine learning will be an integral part of Android 9 Pie, with Actions and Slices being two of its new heavy-hitters. The so-called Actions are being predicted based on usage patterns and they are basically shortcuts to things you are commonly doing on your phone. For instance, if headphones are connected you get a prompt to automatically start playing your favorite tunes. Another potentially great feature is Slices. This new API that will be available to developers will allow users to have direct access to key app features directly from the operating system or from search (in Android 9 Pie, this feature will only be available in search, but expect it to expand in future releases). For example, Lyft is using the slice API to render a slice of their app in the context of search and allow you to directly hail a cab, showing you an estimate of how much it will cost to get to work or to home, saving you time and effort. Over the years, Google has made a great number of changes to how Android navigation works, but few of them have been as radical as the new gesture-based interface in Android 9. The back button is still there and works as expected, but the home button is replaced with a Tic-Tac-shaped element, while the recent apps button is gone completely. Swiping up from the bottom of the screen displays your recent apps side by side, while icons for five apps deemed likely to be used next appear below. Swiping up a second time reveals the app drawer. While on the home screen, a quick slide-and-release gesture of the Tic-Tac switches instantly to the previously used app. Sliding and holding turns the Tic-Tac into a slider, allowing you to go quickly through more of your recent apps. Most other core functionalities have been left unchanged. For example, you still access the Google Assistant by long-pressing your home button or the tic-tac pill if you’ve opted for the gesture-based interface. However, the latter gravely changes another core Android functionality: accessing the split-screen multitasking feature is a bit trickier than it used to be. Once you swipe up your home screen to access your recent apps, you have to tap the app’s icon on the top and select “Split screen” in the options overflow menu that pops up. In its current state, this feature feels a bit convoluted and not intuitive at all, but we have high hopes that future Android 9 Pie releases will iron things out. Needless to say, these gestures take some getting used to. We were hoping that Google would improve them from the first betas, but it hasn’t changed them much and this new type of navigation definitely feels less intuitive than the gestures that we have seen implemented by other companies. Another minor but nonetheless-startling change is… the clock position in the status bar. For times immemorial, stock Android has had this essential element positioned in the top right corner of the screen, but Android Pie hints that this age is drawing to an end: the clock is now across the street and rests on the top left part of the screen. It really felt confusing the first few times, but in the end of the day, one should easily adapt to the change. It’s obvious Google did that for the sake of equilibrium between the two sides of the display when a display notch is present, as the left one would traditionally remain unpopulated once the user clears all pending notifications. Granted, many aftermarket Android skins have traditionally had status bar clocks positioned to the left or even in the center, but it’s the first time stock Android scores such a change. Currently, there’s no toggle that allows you to choose whether your clock should be positioned, though it will be good if Google eventually allows users to choose where this one should be positioned and doesn’t force this change to just about anyone. It’s been a while since Google overhauled the Quick Settings tiles, but Android 9 Pie seems to be on track to introduce a rather major revamp to this essential interface component. The tiles now feature circular teal-colored settings icons. The pending notifications are also now separated from the quick settings by a gap that’s several pixels wide. We are still on the fence if we like it or not but we wouldn’t want to grow attached to it since it might go the way of the dodo pretty soon. More colors, much easier to navigate! The main settings hub has also gone way more colorful than before, sporting vibrant icons instead of uniform monochrome ones. For one, it looks more playful than before but we feel many will miss the older iteration which was much more serious in its overall tone. You can’t stop progress though, implying that coloring a couple of icons can be considered as such. As we previously suspected, Google will natively support devices with a display notch starting with Android 9 Pie. Much to the delight of developers, the first preview introduces s few notch overlays that showcase how the software will adapt around the notch. This option can be enabled from either the display submenu or the developer options (though it can only be disabled from the latter) and allows willing parties to employ an Essential Phone-like notch, a much wider iPhone X-like one, and finally, a middle-ground between the two. Android 9 Pie introduces a new side-positioned volume menu that looks sleek and modern, pretty similar to the power menu introduced alongside Oreo. It stands on the right side of your screen and consists of two separate elements: a volume slider one that also allows you to quickly mute all media sounds and also control the volume of any connected device or accessory, and a ring mode window that lets you mute or unmute ringing sounds. Long-press any of these and you will be taken straight to the sounds menu. And in case you’re wondering, yes, it also comes in black when you put on a dark wallpaper. Nifty! A new and wildly useful feature would be the new smart rotation mode. If you disable auto-rotation of the display from settings, everytime you physically turn your device to the side, a rotate icon will appear in your navigation bar. If you tap it, the screen will rotate. If not, it will disappear in a couple of seconds. This will come in mildly useful when you desire to lock your device in a certain orientation mode and is a great and actually useful addition to Android. However, if you enable auto-rotation, your device will act just like any other Android phone ever – turn it and it will promptly adapt to the change. To be fair, I personally recall that tons of custom Android ROMs have had a similar feature for 7 or 8 years, but it’s cool that Google is adopting useful features into stock Android. If you happen to dislike the hardware shortcut for screenshots, you can now simply hold up the power button until the power menu shows up and tap the screenshot button which will promptly snap whatever’s on your screen. Messages will now show up as threads in your notifications. Generally, the last two messages of the thread will be simultaneously shown in the notification shade, enabling you to never leave your current screen and keep up-to-date with all that’s happening in the thread. What’s more, the second developer preview of Android 9 Pie allows users to reply to message notifications without having to dismiss them, which makes following multiple threads that much easier and more organized. A quality-of-life improvement that should work with most messaging apps. Of course, Android 9 Pie comes with its own Easter egg, and this one is particularly psychedelic. Every time you lock and unlock your device, a new color scheme will get applied to the easter egg, making up for a trippy feeling. We made a small GIF to illustrate almost all the color themes, check it out to the right! While we don’t say it reminds us of colorful popsicles, we do admit it is the software embodiment of having an acid trip in a confectionery. And here’s when these will be released. As you can see, the final release of Android 9 Pie arrived on time in August. At this point, Android 9 Pie is a quality-of-life update that introduces small but welcome changes to the operating system. It also brings a first look at Material Design 2.0, a new, fun and quirky styling that you can see in the settings and we love it. Important new features like the gesture navigation, however, don’t feel so well thought out and are not as intuitive as on other phones. Android 9 Pie also brings a lot of little things that improve the overall experience and we do appreciate Google paying attention to those small details that can make a big difference. Some of the best Android Pie features like Slices and Dashboard are not yet available, and we will only be able to judge them once they are launched in the coming months. Hopefully, with the advent of Project Treble, you won’t have to wait for long to try out Android 9 Pie on your phone. Here’s to hoping Google’s plan will work out.